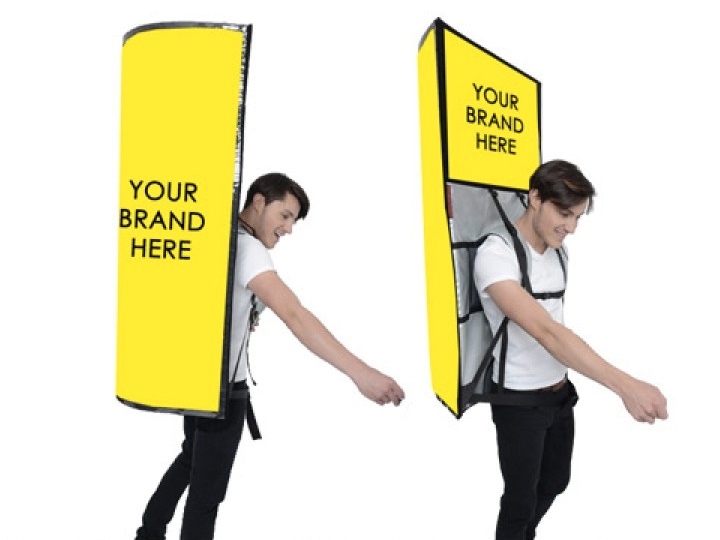 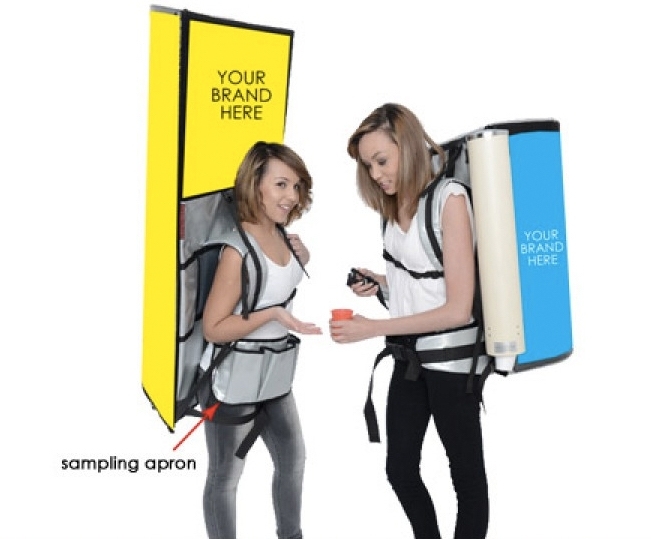 Walking-talking billboards will allow your brand to be on the move. 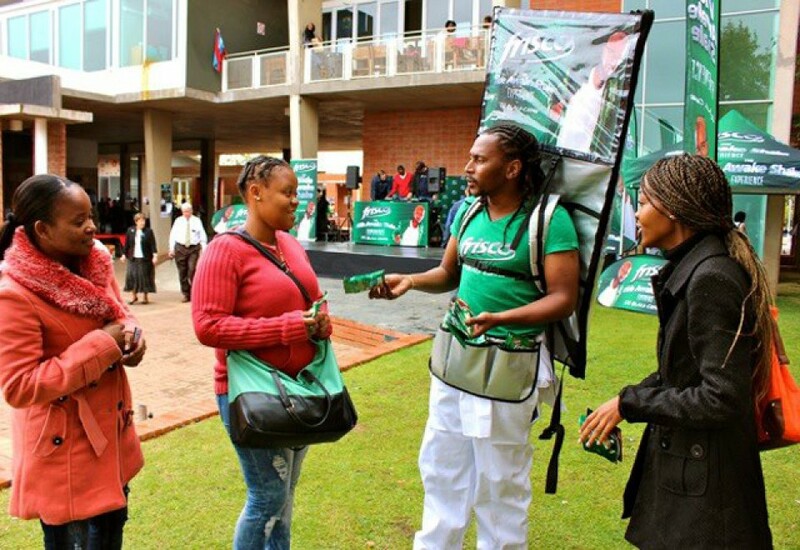 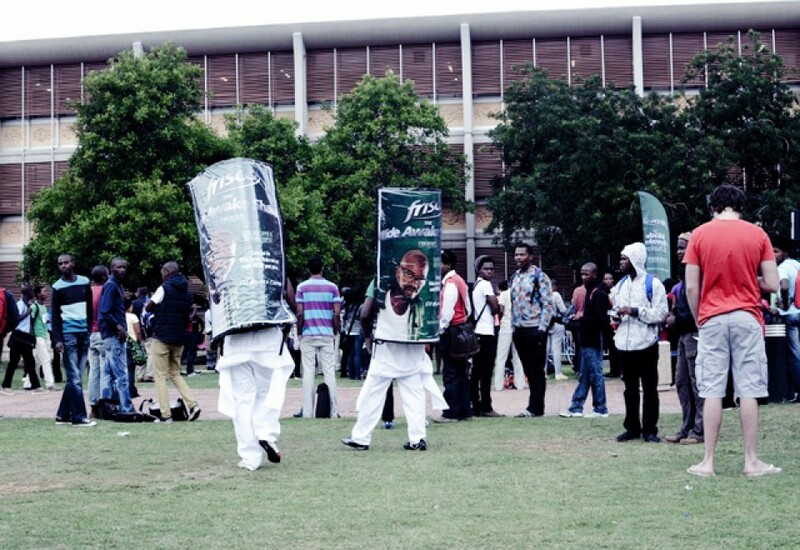 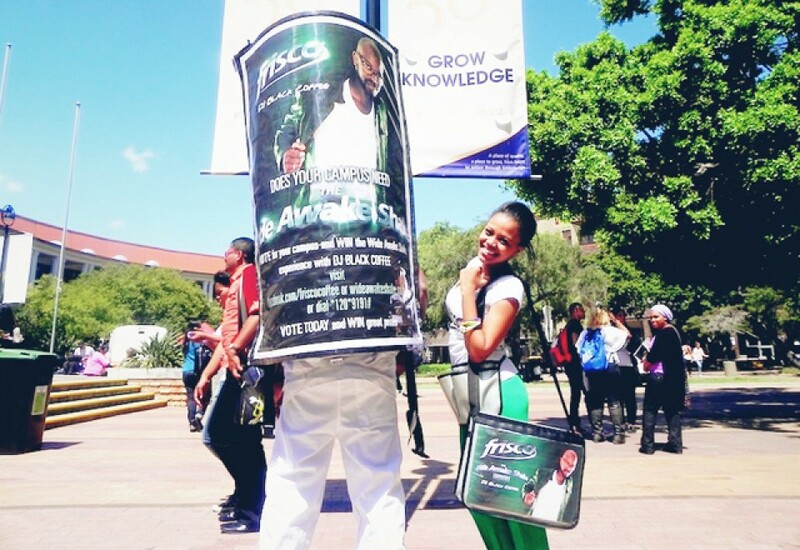 While promoters wear these walking-talking billboards, they hand out your products flyers, brochures or samples. 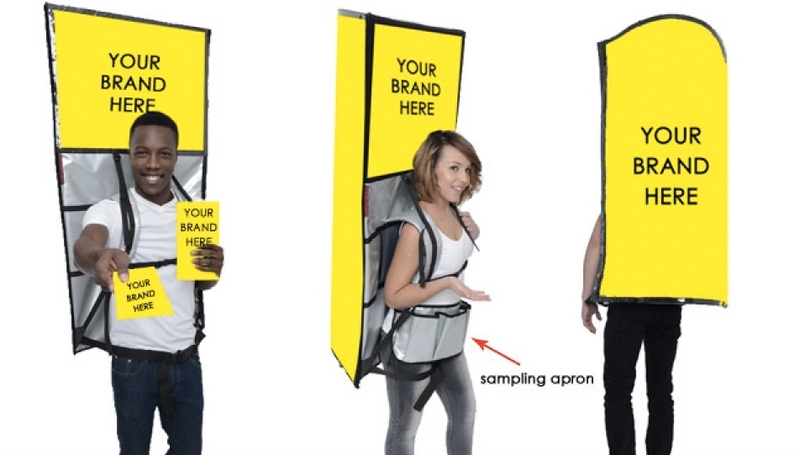 This gives your brand double points in awareness and interaction!